When planning your next social event, please consider The Wave. Whether it's a gala banquet, Wedding, Christmas party, or next summers picnic, The Wave will make it a more memorable event. We offer a wide variety of music: from polkas and ballads to latin tunes and rock. We also try to get everyone involved with group dances and sing-along favorites. Ihor Ghista is a master of the beat. He has played many Clubs and Cabarets to rave reviews throughout Europe and now brings his talents to America. In addition to his extreme percussion talents, He has a booming bass voice that is totally unexpected and a sheer delight. 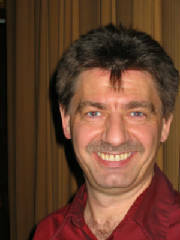 Ihor is a founding and original member of The Wave. 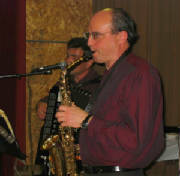 Frank Kolodzieski has played with The Wave for the last several years. Frank brings a passion for music and his excellence in musicianship to a culmination in his live performances. Frank has an extensive resume of playing with many polka bands. He has also performed on a grammy niominated album and is a member in good standing with the National Association of Recording Artists (NARAS). John Lee is the latest addition to The Wave. 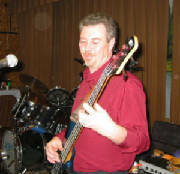 John has played with many Polka and Country bands throughout the northeast for many years. In addition to his solid bass providing the full sound to the band, he also adds another dimiemsion of possibilities with American music with his guitar playing. With his additional warm lead and back up vocals he adds another voice and more variation to the sounds of The Wave.